Hugh Swinton Legare was a lawyer, a legal scholar, and an attorney general of the United States under President John Tyler. Born January 2, 1797, in Charleston, South Carolina, to a wealthy French Huguenot father, both Legare and his sister, Mary, enjoyed a privileged upbringing and social advantages. But the family's money and influence could not cure the boy's severe physical deformity. Prevented from strenuous physical activity, Legare turned his attention to scholarly pursuits, at which he excelled. Legare studied at Moses Waddel's Academy and the College of South Carolina and graduated in 1814. He worked toward degrees in law and languages in the United States (1814–17) and in Scotland (1818–19). Legare's interest in Roman and Civil Law was developed at Edinburgh University under the tutelage of Professor Dugald Stewart. Stewart, a disciple of legal philosopher Friedrich von Savigny, praised the systematic character of Roman Law, and argued that Anglo-American Common Law could be made more precise and scientific by the application of the principles of deductive reasoning. Legare embraced the notion that law—like geometry—could be treated as a deductive science, and it became a lifelong interest. Legare wrote extensively on law, legal philosophy, and classical literature throughout his life. As a young man, he partnered with botanist Steven Elliot, Sr., and other prominent Charleston intellectuals to establish a quarterly magazine that was devoted to all disciplines of scholarly writing. According to its masthead, the Southern Review proposed "to offer to our fellow citizens one Journal in which they may read without finding themselves the objects of perpetual sarcasm." Legare was a principal contributor until the death of his partner and the demands of his political career caused the magazine to fold. "Our country exhibits the last specimen of that form of government, which has done so much for the dignity and happiness of man." Legare entered politics shortly after his return to the United States in 1819. He settled on St. John's Island, off the South Carolina coast, with the intention of developing a cotton plantation, but his physical limitations soon forced a change of plans. Within a year, he was elected to represent St. John's Island in the South Carolina state legislature. In 1822, Legare gave up his plantation and moved back to his family home in Charleston. He practiced law and campaigned for reelection to the state legislature—this time as a representative from Charleston. He was elected in 1824 and served until 1830, when he was named state attorney general. During Legare's tenure as state attorney general, the nullification crisis in South Carolina came to a head. (Nullification is a doctrine that asserts the right of a state to prevent within its borders the enforcement of an act of the federal government that is not authorized by the U.S. Constitution as interpreted by the highest legislative authority of the state.) Convinced that the 1828 and 1832 federal tariff laws favored Northern industry and threatened Southern Slavery, the South Carolina legislature declared them to be unconstitutional and threatened to secede from the Union if the federal government moved to enforce them. Legare opposed the nullification group, spoke on behalf of the Union, and cautioned the federal government against any exercise of authority that might "tip the political balance … toward the nullifiers" and stir the citizens to secession. For his efforts, he was rewarded with a diplomatic post in Brussels. Legare was named U.S. chargé d'affaires in 1832. After fulfilling his obligations in Brussels and enjoying an extended tour of Europe, Legare returned to the United States in the fall of 1836. On his return, he was elected as a Union Democrat to represent South Carolina in the U.S. Congress. He was defeated in the 1838 election because his view of fiscal policy did not coincide with that of his constituents. Following his defeat, Legare returned to Charleston and, for the first time in his career, concentrated on the Practice of Law. He tried a number of important cases and made his mark in the South Carolina and federal courts. U.S. Supreme Court justice Joseph Story said, "His argumentation was marked by the closest logic; at the same time he had a presence in speaking I have never seen excelled." Legare also returned to writing, authoring articles on Demosthenes, Athenian democracy, and Roman law. During the presidential campaign of 1840, Legare affiliated with the Whig Party, and he began a series of articles in support of william harrison, and later Tyler, which appeared in the New York Review. In appreciation for his support, President Tyler named Legare to be attorney general of the United States in 1841. Because of his foreign-service experience in Belgium and his thorough knowledge of both civil and International Law, Legare was a highly regarded member of the cabinet. 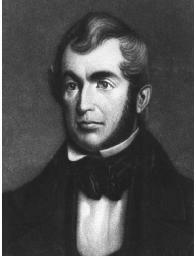 As attorney general, Legare replaced Daniel Webster on the Ashburton Treaty Commission. He is credited with contributing important portions of the treaty that pertained to the right of search. When Webster resigned as Secretary of State in May 1843, Legare assumed a number of his duties and was named secretary ad interim. A month later, on June 20, 1843, Legare died suddenly while accompanying President Tyler to the dedication of the monument at Bunker Hill, in Boston. Cain, Marvin R. 1978. "Return to Republicanism: A Reappraisal of Hugh Swinton Legare and the Tyler Presidency." South Carolina History Magazine 79. Catalogue of the Library of the Honorable Hugh Legare. 1843. Washington, D.C. In the Caroliniana Collection, Univ. of South Carolina. Catalogue of the Rare and Valuable Private Library of the Late Honorable H.S. Legare. 1848. Washington, D.C. In the Caroliniana Collection, Univ. of South Carolina. Welsh, John R. 1971. "An Early Pioneer: Legare's 'Southern Review.'" Southern Literary Journal 3. Wilson, James Grant, and John Fiske, eds. 1888–1889. Appleton's Cyclopaedia of American Biography. New York: Appleton.